What is the difference between the executor and the attorney who administers an estate? My mother is the executor of my late father's estate. We do not trust the attorney who has drawn up the liquidation and distribution (L&D) account and evaluated the estate. He wants a fee of 3.5% of the estate. How do we change attorneys? What is the difference between the executor and the attorney who administers the estate? 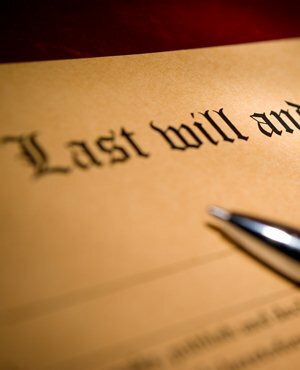 An executor is the person appointed as such in a will. They remain ultimately responsible for the winding up of a deceased estate. However, if someone is appointed as an executor and is not an accountant or attorney with the professional skills to wind up the estate (such as your mother), they have to appoint a professional to assist them with the administration of the deceased estate. Such a professional is appointed through a mandate or agreement which will include certain terms and conditions pertaining to their obligations and to their agreed fees for their services. There is nothing special about a mandate or agreement to assist with the winding up of the estate. It can be revoked at any stage if you are not happy with the services being provided. However, you will need to consider the work that has already been done and the terms of the mandate regarding compensation. The maximum fee that can be charged for the winding up of the estate is 3.5%. This is usually negotiable and should be recorded in the original mandate or agreement you signed with the attorney. You will still have to pay the attorney fair compensation for the work completed to date (with reference to the original mandate or agreement), but you are completely entitled to revoke the mandate and appoint another attorney to complete the exercise. Make sure though that everything is negotiated and recorded upfront. The opinions expressed herein are based on the information as received from you and the assumptions made. If the information as set out herein or our understanding thereof is in any way incorrect, please inform us immediately in order for us to amend the opinions where necessary. It should be emphasised that due to the limitations of this type of forum, the above is only a general outline of a potentially complex matter and it is recommended that you obtain further detailed advice before taking action.